Homemade Shampoo All Dressed Up in Nice Bottle. The color is normally amber, but this batch took in a more reddish tint due to the addition of a little dark patchouli essential oil. 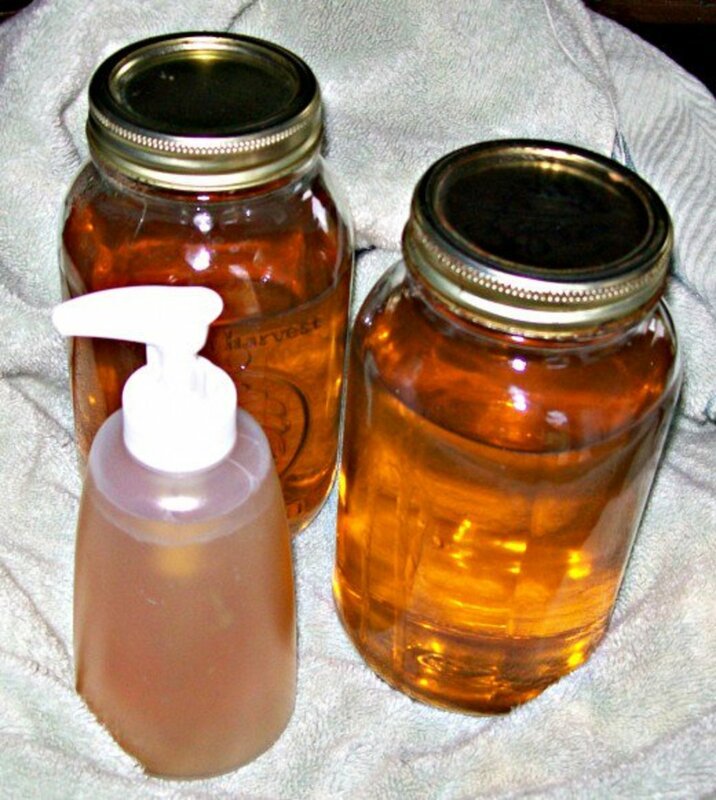 I began making homemade shampoo around five years ago and was delighted with the improvement in my hair. I found that it made my hair feel as soft and silky as it did when I was ten years old. The reason why many people prefer a "real soap" shampoo (and body soap) is because most commercial shampoos, liquid soaps, and bar soaps are "detergent bars" that strip your skin, scalp, and hair of oils. They can cause excessive drying of skin and scalp, resulting in scaly skin and dandruff, plus many contain sodium lauryl sulfate, which is an allergen for some people, and many contain harmful phthalates. My earliest homesmade shampoo recipe was made by grating 100% olive oil soap, whirling it in a blender with either distilled water or rosewater, and adding canned coconut milk to supply a touch of coconut oil for moisturizing. This was great stuff, and I didn't notice spoilage even stored at room temperature, but any concoction made with milks, hydrosols (like rosewater), or even distilled water will spoil after awhile, even refrigerated, and such combinations can be full of bacteria, even if they have no tell-tale smell or bad appearance. My coconut-milk liquid shampoo is easy to make — you don't need to be a soapmaker to whip up a batch. Here is the easy recipe. But if you are a soapmaker, the next step is to make a shampoo bar. 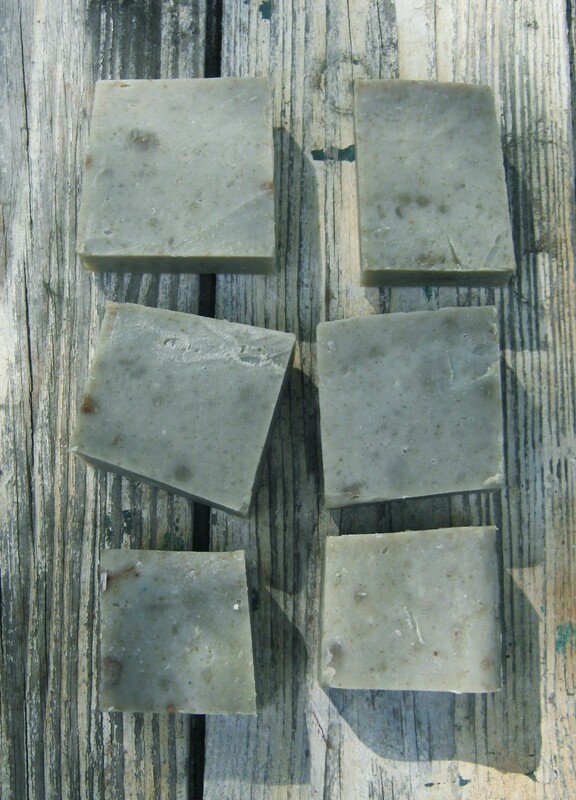 Shampoo bars are a type of bar soap that is specially formulated to work well on hair. Most of us, regardless of whether we make our own soap, know that neither homemade nor commercial bar soaps work very well on hair. They seem to work okay for some people, and men especially can have success using any old bar of soap for shampoo, but most of us find that ordinary bar soaps leave our hair dull and gummy. 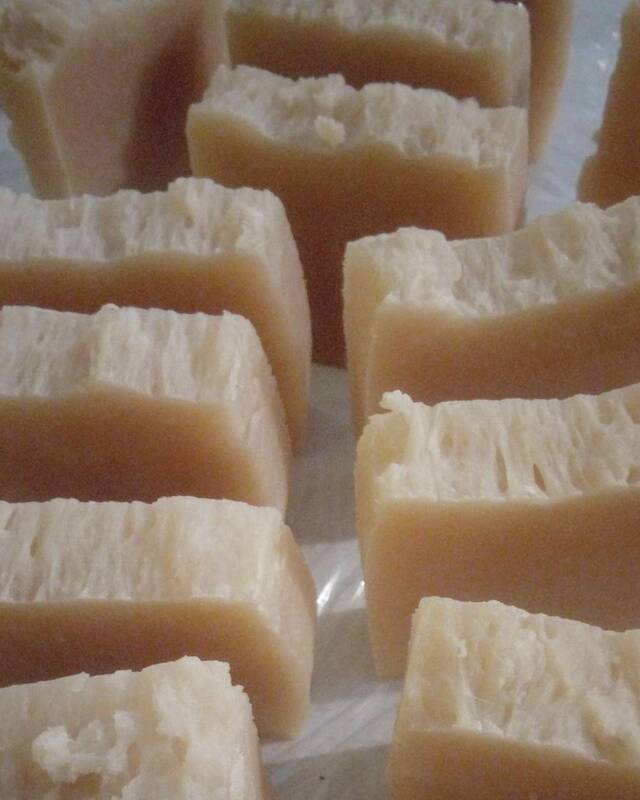 However, it's possible to make a homemade bar soap with only from all-natural oils and butters (along with lye and water) that leave your hair silky and shiny, and keeps your scalp healthy and free of debris. You just need the right formula! This is why I was delighted to discover Liz Ardlady's shampoo bar recipe. 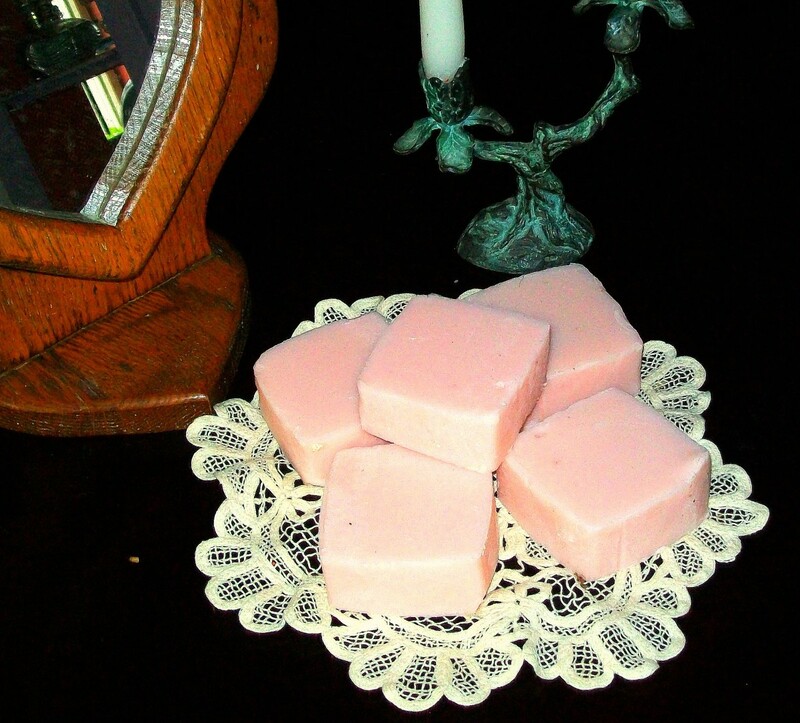 Liz has freely shared her recipe — along with all the research she has done to develop her formula — on her blog and in many soap making groups. The blog explains why she chose particular oils and butters to use for hair. Her shampoo bar formula is so good it has made her a bit of a celebrity among soap makers. So my next step in making a great shampoo was Liz's recipe. Here is her recipe, which includes a couple of variations. After I had used Liz's shampoo bar recipe for a year or so, I became interested in making liquid soap and thought, "Why not make a liquid shampoo using Liz's formula?" It turns out that Liz's shampoo bar formula can easily be adapted to make an absolutely lovely liquid soap! It makes up into a liquid soap that is a perfectly clear, pale amber. Note: For some people (like me) natural soap shampoos produce outstanding results immediately. Many other people have problems with these shampoos. See the sidebar to understand the cause of these problems and what to do about them. Shampoo bars can be lovely too! This one is mad with Liz Ardlady's formula and scented with geranium essential oil and sprinkled with white mica. Another shampoo bar made with Liz Ardlady's formula: Scented with ylang-ylang and orange essential oils. Many people find that their hair does not easily adjust to natural shampoo. Hair may seem excessively oily after use. But there are fixes for this problem. There are two reasons why hair may not respond well to natural shampoo. The most common is that long use of commercial products results in a heavy build-up of silicone residues in the hair. Using a natural shampoo will gradually remove silicone residues, but as these residues are drawn out of the hair, they will tend to glop together and give the hair an oily feel. Once all the silicones have been removed, using natural shampoo results in hair that is silky soft and healthy, but this can take time. While some people have immediate good results, others (with heavily conditioned hair) may find it takes up to six weeks to free hair of silicones. There are ways to speed this process. Hair may be clarified more rapidly by working a mixture of 1 cup water and one tablespoon baking soda through the hair before washing. It can also help to rinse the hair with 1-4 tablespoons of apple cider vinegar, after washing, to remove oils. You may also have good results by using a clarifying shampoo before using natural shampoo. Clarifying may have to be done repeatedly before all silicones are removed—and they will never be removed if you put them back by using a commercial conditioner containing silicones after using natural shampoo. It's best to rinse hair either with a few tablespoons of apple cider vinegar mixed with water, or use a natural silicone-free conditioner. The second reason is that, for some people, problems are caused because commercial shampoos — which are really detergents — are very drying, so that the scalp has adapted by producing an excessive amount of oil to compensate. The hair will eventually adapt — stop producing excess oil — with continued use of natural shampoo. Rinsing hair with diluted apple cider vinegar after shampooing will help remove excess oils from the hair, and promote a healthy scalp. A liquid soap recipe — or even a bar soap recipe — may be daunting if you have never made your own soap. 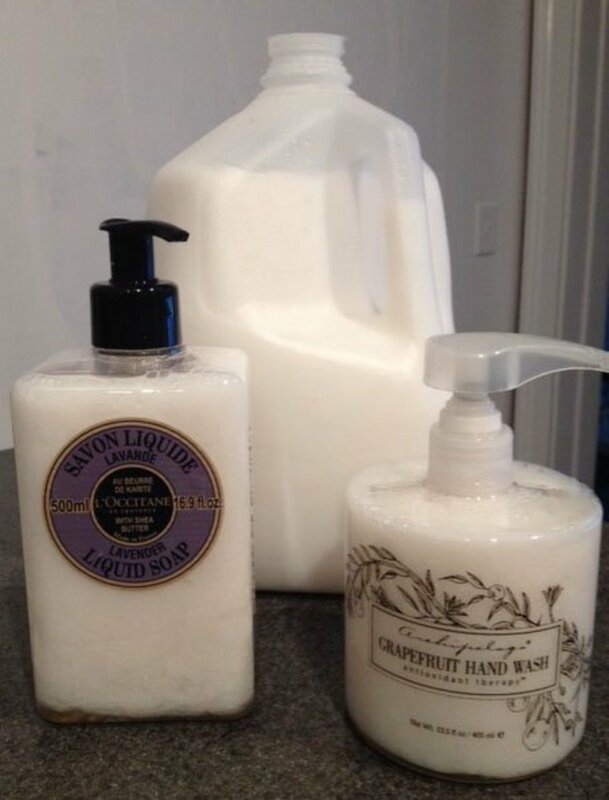 But for soap makers with even a little experience, liquid soap is easy with a recipe. (Where you get into trouble with liquid soap is when you start formulating your own recipe.) 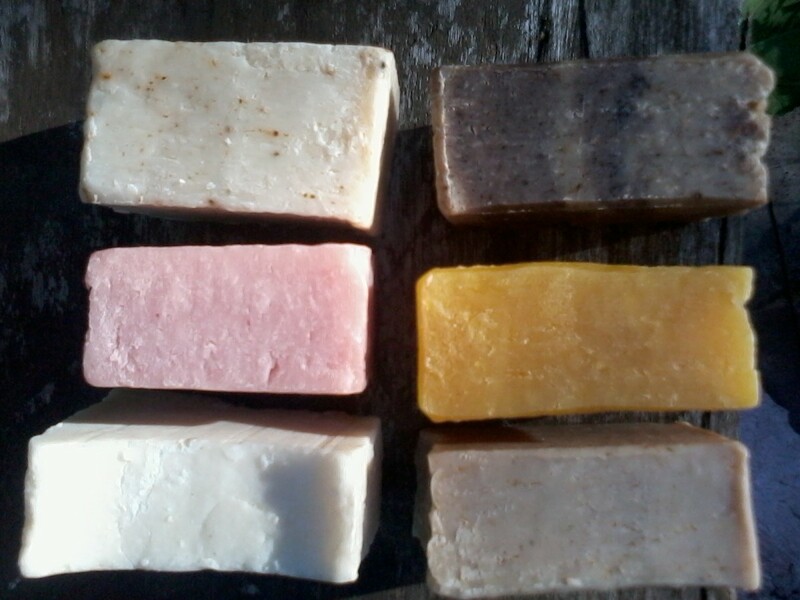 And if you have some experience at soap making, there is a good chance you have most of the necessary ingredients on hand and know where to get any you don't have. The main difference between bar soap and liquid soap is that bar soap is made with a different kind of lye. Bar soap is made with sodium hydroxide (NaOH), and liquid soap is made with potassium hydroxide (KOH). You can buy KOH from many online suppliers. One of these is Brambleberry. It is a little expensive, but one bottle of this stuff, kept carefully sealed away from air, will make gallons of liquid soap. Another difference is that most liquid soaps also contain glycerin. This is because liquid soap cannot be superfatted more than just a hair, and the glycerin helps take the place of superfatting to provide moisturization. Yet another difference is that liquid soapmaking uses a different process. Some people consider it more trouble than making bar soap, but most of the extra steps are merely a matter of waiting —hours upon hours of waiting. So it's really not much different than making a pot-roast in the crock pot versus the oven — which most of us consider a convenience, rather than an inconvenience. Anyway, liquid soapmaking is not only rewarding but fun — and pretty easy. 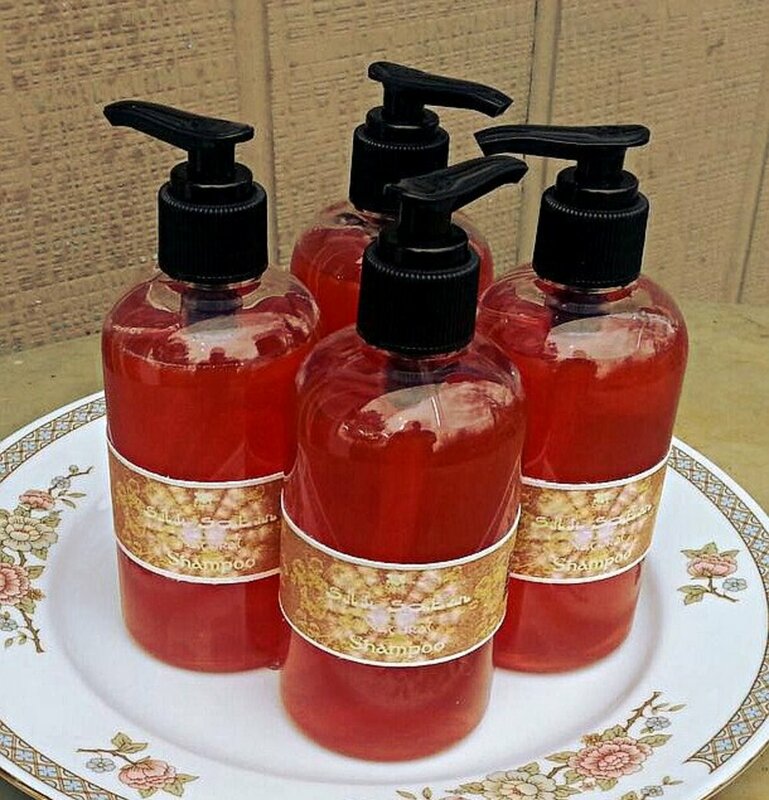 I've made this liquid soap recipe many times over the past couple of years. It's almost foolproof. As with making any soap, be sure to wear rubber gloves and eye protection. Closed-toed shoes are also a good idea. If you get lye, lye solution, or raw soap on your skin, flush with cold water immediately. (I have a little scar on my nose that looks like a dimple, from where a drop of raw soap hit my nose and I neglected it too long.) You should not have problems handling lye if you stay focused and remember to always handle it with care. While this recipe worked wonderfully well for me without these additives, it works even better with them. The shampoo also got far better reviews from my testers when these ingredients were included. My daughter tried repeatedly to use soap shampoos, but they gunked up her hair, no matter what she did. With these additives (and a whole-house water-softener), she liked the product. So it's possible that these additives may make soap shampoos workable for some people's hair. I found that adding DL-Panthenol to my shampoo resulted in quite a noticeable improvement in hair texture: It made it silky soft, and may have improved the shine some. Cetrimonium chloride is an excellent conditioner with anti-static, anti-frizz, and detangling properties, especially effective for softening coarse hair. It also washes away silicones when used in shampoos. I didn't notice a huge improvement in my hair with the addition of cetrimonium chloride, but others did. You may want to try this shampoo without the optional additives at first. It works great for many people without them! If you add these to later recipes, you'll be better able to evaluate how well they work for your hair. I'd go with DL-Panthenol first, as I think it's amazing! Crothix makes this shampoo thicker. Without a thickener, it has a watery consistency, though it works just as well without Crothix. Oil Phase: The Oils, Butter, and Glycerin combination that is melted together in the crock pot on medium heat. Water Phase: The Lye Solution, mixed separately and set aside till oils are melted. After Cook: The Superfat Portion of the recipe, which is added after the liquid soap paste reaches vaseline stage. Dilution: The Water Portion of the recipe, which is added after the cook and the addition of the superfat. Cool-Down Phase: Fragrance and preservative, which are added after some cooling. 0.2 Ounces Germall Plus (or 5.7 grams--or round up to 6 grams, if your scale doesn't do tenths of a gram) — can be added when the temperature is under 176° F. The suggested usage rate for Germall Plus is 0.1% to 0.5%. For 60 ounces of finished product, you can use anywhere from 0.06 ounces to 0.3 ounces. It is best to weigh this out in grams, since the amount is very small. So the suggested amount in grams will be 1.7 grams to 8.5 grams. I've suggested 6 grams because that's more or less in the middle of that range. Optional: 2-4 ounces Crothix, to make shampoo thicker. Weigh oils, mango butter, and glycerin and put them in a crockpot. Heat until melted at medium heat. Weight out 6 ounces of apple cider vinegar (ACV) in a plastic container. The container should be big enough that it is only about 1/4 to 1/3 full with 6 ounces of ACV in it. (You will want a good amount of head space.) In a separate plastic container, weigh out 3.9 ounces of potassium hydroxide (KOH). Using a stainless steel or plastic spoon, mix KOH with ACV. This mixture will get very hot, bubble up and make popping and spitting sounds, but it will quickly settle down. How much stirring is sufficient? I usually give it a quick but thorough stir when I first mix in the lye. Then I carry the container I used to weigh the lye to the sink, rinse it out thoroughly, and set it on the rack to dry. Then I give the solution another quick stir. Then I leave the room to get away from the fumes. When the oils are melted and the lye solution has cleared, add the lye solution to the melted oils in the crock pot. Leave the crock pot on medium throughout the rest of the soapmaking process. Cover the crock pot with plastic wrap, so it is air-tight, and leave it on medium. During this stage, the soap is cooked, stirring and stick-blending every 15 minutes or so, until it reaches "vaseline stage." Your soap is at vaseline stage when it becomes shiny and translucent — almost transparent, but not quite — so that it looks somewhat like vaseline. How long does this take? The time involved can be weirdly variable, even using the same identical recipe. Normally soap will reach vaseline stage after an hour. Sometimes it will take an hour-and-a-half. Once, when I had the crock pot on high, it came to vaseline stage in the time it took me to go to the euphemism — in other words, in about ten minutes. It is okay to have the crock pot on high during the cook, if you want. Just keep a closer eye on it. Or leave it on medium so you don't have to watch it as closely. During the cook, remove the plastic wrap and stick-blend and/or stir with a rubber scraper every 15 minutes or so, and replace the plastic wrap. I have never had this recipe "zap" at vaseline stage. It is possible that it could, even if you measured correctly, because the SAP values of oils used to calculate the amount of lye needed for saponification are variable — though normally not by much. If your soap "zaps" at vaseline stage, you can do one of two things. My suggestion would be to ignore it--or let the soap cook a little longer and re-test for "zap." Maybe it just needs more cooking. Another reason to ignore "zap" is, you will be adding your superfat momentarily, which should resolve the problem. The resulting liquid soap will be somewhat lower in superfat than planned, and that is okay. Alternatively, if you want to be OCD about it, you could add about 0.1 ounces of canola oil to the soap, stick-blend it in, cook some more and re-test for "zap." If it still "zaps," add another 0.1 ounces canola oil and repeat. I mention this approach more or less rhetorically. I have never had this happen. When the soap has reached the vaseline stage, zap test it. You do this by touching your tongue to a dab of the soap. Some people say soap that has not completely saponified "zaps" like an electrical shock. I find it just tastes like lye instead of tasting like soap. The lye taste is unmistakable and very acrid. You will know. See sidebar for what to do if you soap "zaps" at vaseline stage. Liz Ardlady, in her shampoo bar formula, suggests using olive oil for the superfat. I have used safflower oil and red palm oil for the superfat in shampoo recipes. To be perfectly honest, I'm not sure it makes any difference which superfat you use. If you have no argan oil on hand, just use something else--perhaps after researching hair benefits of various oils, or perhaps after not researching this. Whichever superfat oil you choose, thoroughly mix 0.5 ounces of this oil with 1 tablespoon liquid lecithin in a small cup and add this to your soap, which is still in the crock pot. Stir and stick-blend until thoroughly mixed in. As a side note, I am not sure the liquid lecithin is strictly necessary. It's just something I've always done. I do it because lecithin is a natural emulsifier, and I have the "notion" that it helps prevent the superfat oil from separating from the finished liquid soap. Theoretically, this tiny percent (less than 1%) of superfat should not separate in the finished soap. I.e., you will have 60 ounces of finished soap, and 1% of 60 ounces is 0.6 ounces, so 0.5 ounces superfat is less than 1%. So I don't think you'll have a problem if you omit the liquid lecithin. Leave the crock pot on medium, and keep your plastic wrap handy. You finished soap paste is now ready for dilution. Weigh out 30 ounce of distilled water and cetrimonium chloride (if using) on your digital scale and add this to the crock pot of soap paste. Go ahead and just dump it all in at once. Stir a bit. (It will not mix together much.) Cover your crock pot tightly with plastic wrap and allow the soap to continue cooking on medium heat for another hour or two. After an hour or two, you will be able to see that it is progressing, and you may want to stir every hour or so. 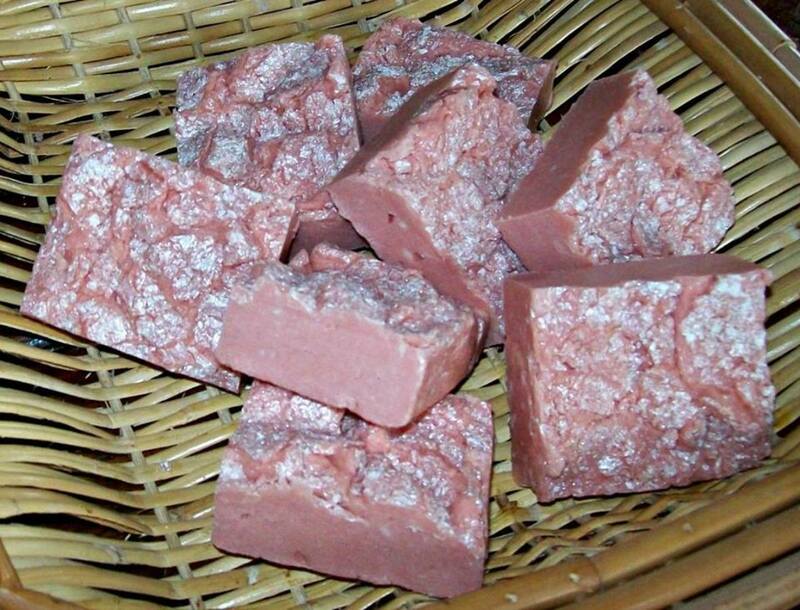 Soap paste takes quite a long time to completely dissolve in water--generally 15-24 hours. Here is my approach to dealing with this long wait for complete dilution: After your soap paste has cooked in the distilled water for an hour or two and is progressing nicely, turn off the crock pot and go to bed for the night, or go out shopping for the day, or just otherwise forget about it for a good ten hours or longer. (It works out nicely if you have initiated dilution right around bedtime.) Be sure the crock pot remains tightly covered with plastic wrap. When you arise in the morning after a nice 10-hour nap, check your soap. You will notice that most of the soap paste is dissolved. Use a rubber scraper to stir it a bit. Usually, there is a bunch paste stuck to the bottom. Now you can turn your crock pot back on medium, replace the plastic wrap, and allow the liquid soap to continue dissolving with the aid of a little heat. My notes from my last batch indicate that I got up in the morning and checked the soap at 7:30 am, gave it a stir, and turned the crock pot back on medium. Dilution was complete after about four more hours of heating (and occasional stirring with a rubber scraper) on medium. Since I added the distilled water at 9:00 pm the night before, this means that dilution took 14 1/2 hours--with the crock pot turned off most of the time. There are two reasons to do it this way. One of them is that it's just easier on your nerves to turn off the crock pot and forget it. The other is that a lot of heating is detrimental to delicate oils. The only delicate oil that is still in this mixture is the superfat, but long heating may result in a shorter shelf-life for your finished shampoo. About the only thing that can go wrong with this soap (that I can think of) is that sometimes the finished liquid soap will have a "skin" on top. If there is a "skin" on the surface of the liquid soap, this means you need to add more distilled water. The only way you will need to add more distilled water to this recipe is if you have been remiss about keeping the soap covered with plastic wrap. The purpose of the plastic wrap is to prevent water loss through evaporation. As I said before, this recipe is almost fool-proof. Once the soap paste is completely dissolved, you will have a clear, pale amber colored liquid soap that it specially formulated for hair! It is best to add a preservative to liquid soap or liquid shampoo. If you would rather not use a preservative, it would be best to pour out some of the shampoo for use in the shower and keep the rest refrigerated until you need a refill. Liquid soaps and shampoos seem to keep for quite a long time at room temperature, but it would be best not to take chances--especially if you are selling your product. Use Germall Plus for the preservative in this shampoo. It is available from wholesalesuppliesplus.com. Germall Plus can be added when the soap temperature is under 122° F.
When adding fragrance to shampoos, whether they are shampoo bars or liquid shampoos, be sure to use only essential oils! Do NOT use fragrance oils. In my early days of making shampoo bars, I learned the hard way that the fragrance oils that you dream of putting on your hair, so you can trail clouds of wildflower honey and coconut mango are VERY bad for your scalp and hair. After a few uses, a shampoo containing fragrance oils will turn your scalp scaly and crusty. Bad juju. There are many essential oils that are good for the hair and scalp. Since this is a big subject, I will leave researching essential oil benefits to you. Many people like rosemary essential oil, because it strengthens hair and it also helps somewhat to detangle hair. I find the scent of rosemary a little too medicinal for my tastes. My preferred essential oils for scenting shampoo (and conditioner) are ylang-ylang and bergamot, or ylang-ylang mixed with a little orange or bergamot essential oils. Many people like cedarwood essential oil, lavender essential oil, or a cedar-lavender blend. Some people may like patchouli. Geranium can be very nice, if you go easy on it or blend it with a more gentle scent; it can be a little intense. The best time to add essential oils to your finished liquid soap is when it is still a little warm, and this is also a good time to add the preservative. I think the recommended temperature for blending in the essential oil is around 100°, though the exact temperature is not critical. It's just best if the soap is still a little warm. Using a rubber scraper, mix in 0.5 ounces of your preferred essential oil, and 6 grams of Germall Plus, if you are using it. You may want to switch your scale to grams and weigh out 14 grams of essential oil and 6 grams of Germall Plus, so that your measurement is very precise for these ingredients. When using a preservative, you don't want a speck more than is necessary, and you would be surprised how much difference it can make if your essential oil is closer to 0.6 ounces than 0.5 ounces. It's good to have a decent level of uniformity in your product, especially if you plan to sell some of it. I've found that 0.5 ounces is just about the right amount of fragrance for a 60-ounce batch of soap. Liquid soaps, shampoos, and conditioners require less fragrance than bar soap. Trust me, 0.5 ounces of essential oil is plenty, and some may find it too strong. In fact, you may want to back this amount off if you are using a stronger essential oil, such as rosemary or geranium. Mix in the essential oil and preservative (if used) thoroughly. Soap may turn a little cloudy when you add the preservative and/or the essential oil, but the cloudiness will dissipate quickly. Some essential oils make liquid soap turn "runny." There are things you can do about this, such as adding about an ounce of the saturated salt solution to the liquid soap, but they don't always work, and I don't feel they are worth the bother. Ylang-ylang is notorious for making liquid soap runny--and it does not respond at all to the addition of salt water--but ylang-ylang is one of those fragrances that is worth it. 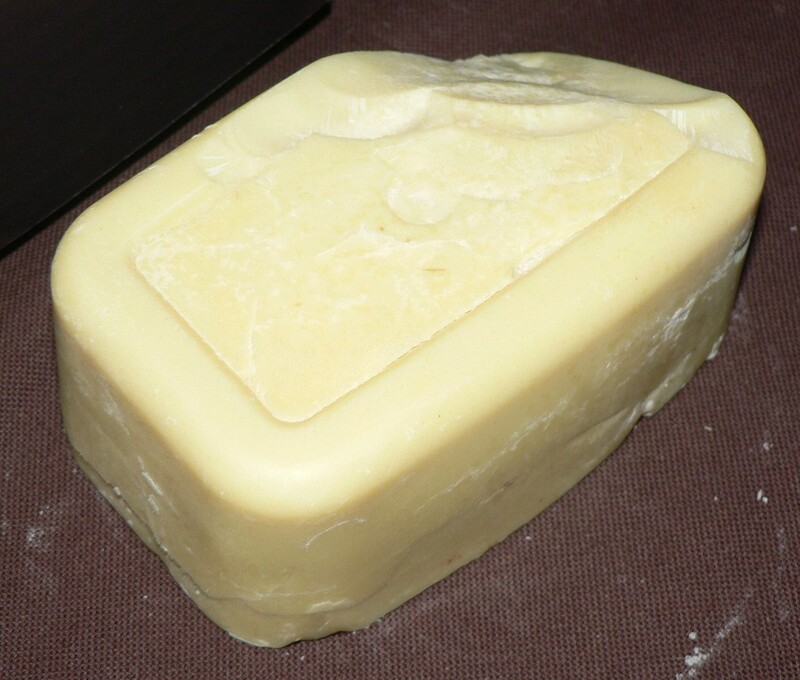 Liquid Crothix is added after the soap has cooled to room temperature. While you can add it to warm soap, you won't see the thickening effect until the soap has cooled. If you add it too cooled soap, you will be able to tell how much is enough. For this recipe, two ounces of Liquid Crothix is adequate--though just barely. I think it takes four ounces to make the thickness "just right." Now you are ready to transfer the soap to a couple of quart jars, or to one half-gallon jar, for sequestering. Let the soap cool a bit first, if it is on the warm side. Does Liquid Crothix Work to Thicken Liquid Shampoo? You may not feel that it is necessary to add Liquid Crothix to thicken this shampoo. I used it for years and wasn't bothered by the watery, runny texture. But I find that other people (friends, relatives, customers) really like a thicker texture. If you read reviews of Liquid Crothix, you will notice that it doesn't work for everything--though I find it works great for this recipe. Others argue that Liquid Crothix works to thicken liquid soap. This product is sold by Brambleberry--and of course many other suppliers. If you look at the customer reviews on Brambleberry's website, you will notice rave reviews mixed with complaints that the stuff doesn't work. It also adds a pretty good chunk to the cost of the product. I found that it works--in this recipe. It just doesn't work very well. The thickening effect at 2 ounces (about 3%) was slight. If you are a jelly-maker, you know that your jelly has gelled and is ready to bottle when it runs off the spoon in "sheets," rather than thin strings. Two ounces of Liquid Crothix added to the above recipe will be enough to cause your shampoo to run off the spoon in sheets, as opposed to running off the spoon almost like water. While two ounces is "enough" thickening--barely--it takes four ounces to get the perfect consistency. Sequestering is a very big word for a very small process. Put your soap in a large jar — or two large jars, if you don't have a half-gallon jar — and let it sit for 7-10 days. This resting phase allows liquid soap to mellow and develop the desired mildness. I'm told that sometimes impurities will settle out onto the bottom of the jar, and the settling of the impurities will allow you to pour the "good" soap off the "lees," but I have literally never seen any impurities settle out of this or any other liquid soap I've ever made. Sequestering is also a good idea, in case anything has gone wrong. You may want to keep an eye on clarity and watch for separation — though neither of these should happen if you've followed this recipe carefully. Obviously, bottling is easy. Bottles should be nice and clean. When you are re-using a container, some people like to rinse the clean container with isopropyl alcohol and let it dry before filling with product, to eliminate germs. For liquid shampoos, I prefer a pump bottle. Show in the top picture is Wal-Mart's inexpensive 12-ounce pump bottle for $2, including tax. But there are lots of other containers out there that you may like better. If you don't choose to use a preservative, you may want to fill a bottle for immediate use and set aside a jar or two of the remaining liquid shampoo in the refrigerator for later refills. How About a Conditioner to Go With Your Liquid Shampoo? Now that you have a screamingly elegant liquid shampoo, scented with a gorgeous fragrance, you will not want to follow up with a commercial conditioner that smells like oven cleaner mixed with cat piss. (Commercial conditioners will also tend to defeat the process of switching to natural soap-shampoo, by clogging your hair with silicones.) You will probably want your conditioner to be natural and sweet smelling too, though many people don't bother with this, and just use a vinegar or lemon-juice rinse. Since soap-shampoos are higher in pH than commercial shampoos, some people feel you should rinse your hair with diluted apple cider vinegar after shampooing to restore your hair's pH. Then you need to rinse the heck out of your hair to get rid of the vinegar smell. But after two years or so of using soap-shampoos without bothering with the vinegar rinse, my impression is that this is a non-issue. Your hair may be different. One of the difficulties in formulating soap shampoos is that there is so much variation in people's hair that it is hard to come up with a "one size fits all" shampoo. So, though I don't really like a vinegar rinse, I do like to use conditioner. Luckily, Liz Ardlady also has offered the world a really great and very simple conditioner recipe. It is made by simply warming a mixture of BTMS and distilled water and stick-blending to emulsification. It is extremely fast and easy to make. BTMS-50 is sold by the pound by companies such as Brambleberry. It is fairly inexpensive — though it may seem pricey with shipping thrown in. But one pound of BTMS-50 will make about 30 pounds of conditioner, so there's that. I love this conditioner. It's the only one I ever use. It can be scented with about 1% (or less) of the essential oil of your choice, and can be beefed up with panthenol, Honeyquat, and centrimonium chloride, as with the shampoo. You can also add amino acids to both the shampoo and the conditioner (see below). If desired, you can add 1% Optiphen ND or 0.5% Liquid Germall Plus as a preservative . You can find Liz's conditioner recipe here. Here's Another Additive You Might Like! My search for still more things to add to shampoo led me to silk amino acids. Here's what they are for--according a supplier's description: "Silk amino acids penetrate the hair to strengthen, rebuild & nourish chemically damaged hair without weighing it down or causing buildup. These amino acids go deep down inside of the damaged hair cuticle to repair and protect it. They are hydroscopic, and therefore have excellent moisture binding properties. They add softness, body and strength to the hair. Silk Amino Acids, aka SAAs, seal your hair's cuticles creating silky smooth shiny hair!" When I tried adding SAAs to this recipe, I was delighted with the results. So, yes! You can add silk amino acids to this recipe. I used powdered silk amino acids from New Directions Aromatics. I mixed one ounce of the powder with two ounces of distilled water and added that to the dilution water and let it cook until the paste was completely diluted. By my calculations, the addition of one ounce of powdered silk amino acids mixed with two ounces of water, added to the above recipe yields a shampoo that is 1.3% silk amino acids. This seems to be plenty! And the finished shampoo still came out perfectly clear. I found that this addition added shine and strength to my hair. The results are even more impressive when used on porous or damaged hair. One caveat is that amino acids do not agree with everyone's hair, and there is a concern that continuous use of these proteins in hair products could even be detrimental, making the hair brittle and causing breakage. (I don't have enough experience with such products to know if this is a problem.) So even if you try SAAs (or other amino acids) in your shampoo, and love them, it might be best to be aware that you can over-use them. You could also just be one of those people whose hair doesn't like proteins. Or you could be one of those people whose hair prefers oat, wheat, or some other type of proteins, or that your hair does better when they are used very lightly (at a low usage rate). But so far I'm loving this stuff! The reason to use a smaller crock pot is because you want the soap to be deep enough that your stick blender is immersed. Otherwise the raw soap is likely to splatter around. It could splash on to your face or other bare skin and cause lye burns. There is much less chance of soap splashing around if the soap is deep enough for your stick blender to be immersed. In any case, be sure to wear eye protection. If you get soap on your skin, rinse it off immediately. What size crockpot should I use…6 quart? I have never made liquid soap on the stovetop, but it seems like you could if you kept the temperature low. I would also keep a closer eye on it. Could this be made on the stove top? I love the recipe too--and since I added centrimonium chloride to it, it now works for several people who could not use my soap shampoo (or anyone else's). Next time, I plan to add silk amino acids, and maybe sodium PCA. I love this recipe. My last batch I used beer instead of ACV. It’s still in the sequester phase. Hoping I Love it as much as the original. I've never used food items in my soaps or shampoos, so I've never researched the benefits--though I have been tempted to try herbal teas and herbal extracts. If you substitute fruit juices for the ACV in the lye water, you should be able to avoid preservation problems, but benefits may be lost through interaction with lye. If you use fruit juices in the dilution water, you may want to look into more aggressive preservation methods. (My knowledge of preservatives is very limited.) Or you could keep the shampoo refrigerated and use it up fast. I would like to make a shampoo using pineapple juice or other freshly squeezed fruit juices. Any suggestions? Kath, I am not sure what stage you are at. Are cooking the soap paste and concerned that it never reached the translucent "vaseline stage"? Or are you diluting the soap paste and concerned that the soap looks opaque either during dilution, or after all the soap paste has dissolved? If you are cooking the soap paste and it never became translucent, zap test it and wash your hands with a dab of the paste to check for lather. If it lathers and doesn't zap, the soap paste is done and you can add the superfat, SB, and begin dilution. If you have diluted the soap and all the soap paste has dissolved, but the liquid soap is cloudy or opaque, most likely there is too much superfat (and most likely your LS will separate). You can fix this by adding lye dissolved in water in tiny increments--about 0.2 ounces of lye at a time--and cooking till the soap clears. I've been really looking forward to using this recipe, thanks for posting it. I'm still cooling the soap and it's been around 90 mins. The soap is opaque in colour not translucent and I'm not sure why that is. When I mixed the act and the lye it stayed an orange colour not clear like water. Is it supposed to clear like water? Could this be the reason the soap is opaque in colour? I have no clue about the cloudiness. Usually, if there is not enough lye, you get separation, but I guess you could get cloudiness from that. Is there any reason to suspect your lye? This is a pretty thin liquid soap, but it can be thickened somewhat by stirring in a saturated salt solution. Add about an ounce of saturated salt solution and see if it seems about right. If it's not thick enough add more in about 1-ounce increments. I think it's mainly the preservative that makes the soap runny, though some essential oils will also have this effect. The soap always seems "thick enough" (to me) until I add a preservative. I'm satisfied with the liquid soap being on the runny side. The thinness is less noticeable if you use a pump bottle. 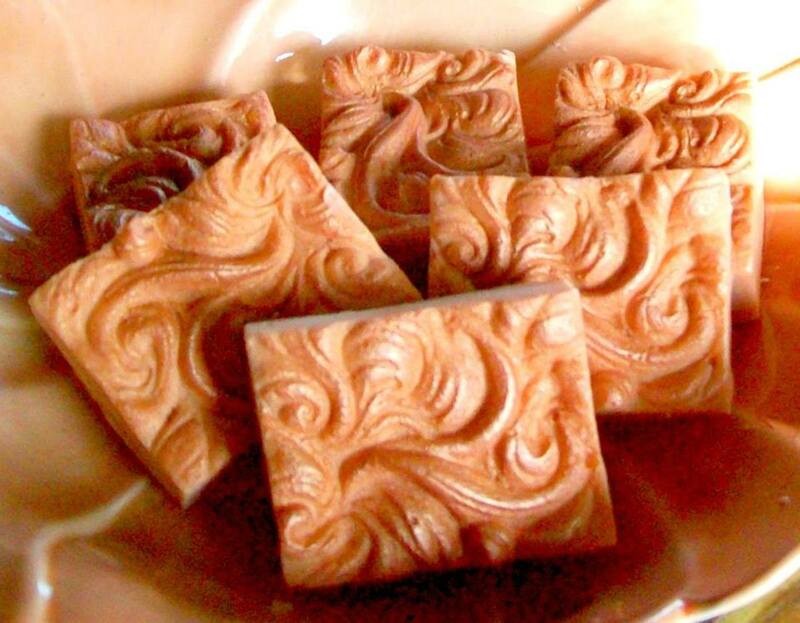 I followed this recipe to the letter and my soap did turn out a pale amber but it's cloudy and is very thin, I didn't add any essential oils. Cloudiness doesn't bother me too much but is there an easy way to thicken it up? Right now it's about the viscosity of water, it works great its just really really thin. Thank you, Jolene! I love seeing your beautiful work posted in the soapmakers' groups. You're one of the most talented soapmakers around. I hope you enjoy using the shampoo as much as I do. 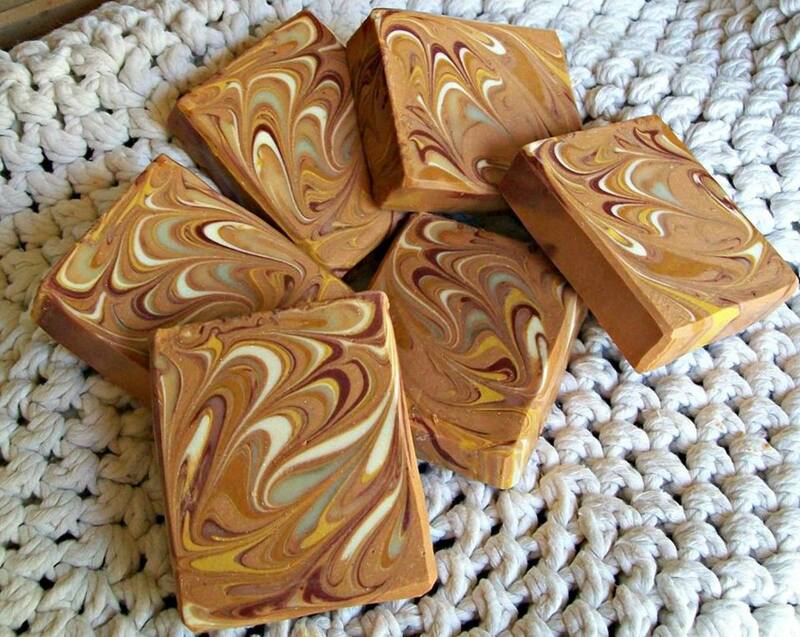 Hi Sharon, I tried making this yesterday and it turned out a wonderful amber color! I just added some rosemary, tea tree and grapefruit eo into it and those didn't affect the consistency of the shampoo. I am going to allow it to sequest for 2 weeks before using. Thanks so much for sharing such a detailed tutorial and recipe. I appreciate it!